You may have read a snippet of Tara & Matt’s Aggie love story last week on the blog where we gave Matt’s version. This week we focus on Tara & Matt’s exclusive Aggie wedding weekend experience at our College Station wedding venue, Stonehem Hall, complete with a full run down on their reviews for their College Station Wedding Vendors! Matt and Tara met while attending Texas A&M, thanks to sharing the same major and mutual friends. They enjoyed being friends for quite some time before diving into a relationship together. Matt knew from day one that he was interested in Tara, but it took Tara some time to come around. Tara knew Matt liked her and decided to test the waters on their first “official” date while she was watching her friend’s dog, Lily. Knowing Tara was looking for a way to get the dog out and burn some energy, Matt offered to take the three of them on his boat on Lake Bryan where they spent the day cruising around on the lake and playing fetch with Lily. It wasn’t long after that Tara immediately knew Matt was the one. He had been her best friend for so long, that it just felt right to be around him and she knew she couldn’t imagine a day without him. On November 18, 2017, Tara and Matt made plans to have dinner at her family home in Hunstville, Texas with her parents and grandparents. Upon arrival, Tara noticed a sweet little setup complete with hay bales, a blanket, lanterns, candles and pictures of them under a tree in the backyard. 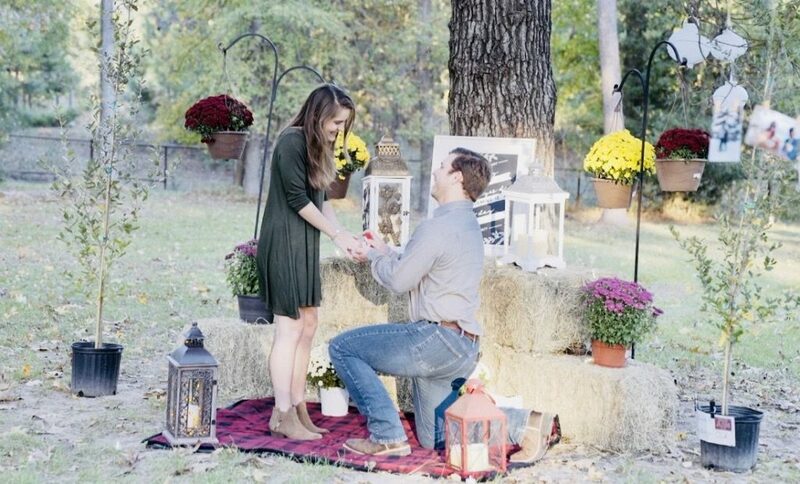 Surrounded by family and close friends, Matt popped the question to his Aggie Sweetheart and Tara said, “YES!”. This simple moment was just one example of how sweet and thoughtful Matt is in their relationship, and Tara appreciated his attention to detail and the chance to have a mini-party afterwards to celebrate the occasion with everyone present. 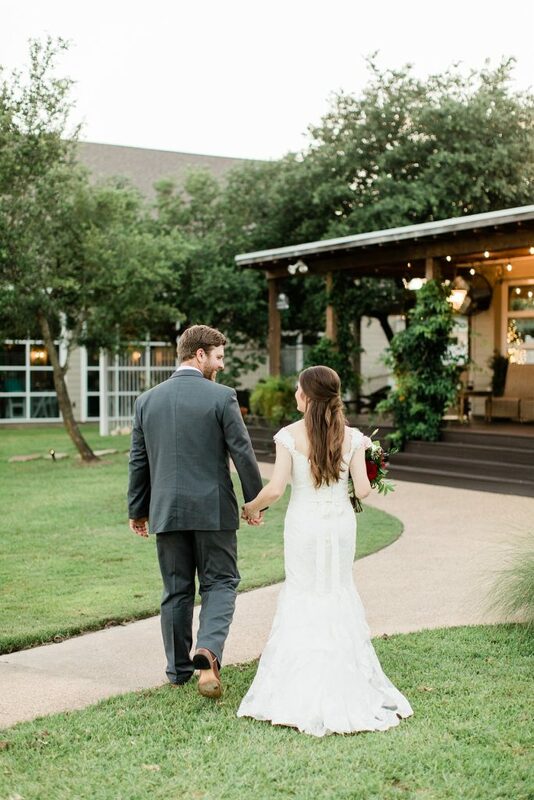 When it came to deciding on a date and venue, they knew College Station was the place to say, “I Do!”. So many memories had been created in this great town, and it was the perfect middle ground for friends and family. 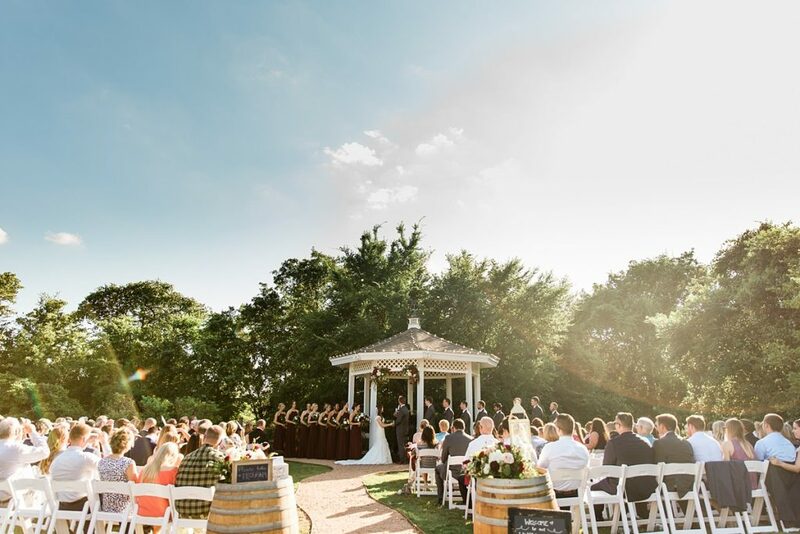 Having been to the Inn at Quarry Ridge recently for a winter semi-formal, they were thrilled to find out about the new waterside addition, Stonehem Hall, and realized it was the perfect venue for their Aggie wedding weekend! Finalizing spring as the season of choice, May 26th fell into place for the perfect wedding date. On the big day, Tara eagerly looked forward to the reception where she could dance and celebrate with their friends, family and fellow Aggies, creating memories they could cherish forever. The bride-to-be felt having their families there to support this new chapter of committing lives together and merging two families was the most important part of the day. The soon-to-be newlyweds couldn’t have made it to that point without their love and support. The best part of the day, Tara recalls, was finally seeing Matt when she walked down the aisle. They opted to not do a first look and had not spoken to each other since parting ways the evening before. When she walked down the aisle and spotted him all dressed up and grinning ear to ear at her, she fell in love all over again. Their favorite part of being newlyweds so far has been decorating their first home together. Sharing a similar taste in decor, they have enjoyed bringing in furniture and decorations to make their house a home, where they know they will create so many great memories. Photography – Tara Barnes Photography. Tara was absolutely amazing and super accommodating for us through the entire process. Our wedding pictures turned out absolutely gorgeous and I’m so thankful that I’ll have the beautiful pictures to cherish forever. Videography – SMART Video Services. John was so fun the day of the wedding and captured the perfect moments in our video. We have loved reliving the memories of our wedding day with family and friends while watching our video. Catering – Buppy’s Catering. The food at our wedding was simply amazing and we had everyone at Buppy’s to thank for that. They were very accommodating for us when we were selecting our dishes and the entire process went so smoothly. Cake – Cake’s by Blondie. Blondie did such an amazing job with the wedding cake. It was delicious and turned out EXACTLY like I had imagined it in my head. Coordination – All Things Planned. I can’t say enough amazing things about the ladies at ATP. They took so much stress off my Mom and I leading up to the wedding day and ensured that the day of the wedding went off without a hitch. Rentals – Events to Remember. We used Events to Remember for our linens and everything turned out so great. The pictures of the reception hall looked amazing – everything was so light and airy and the lines helped to pull in our wedding colors – burgundy and blush. DJ– Downtown Events Services. The whole team did such a great job from the very beginning – it was so easy picking our songs and setting up the timeline for the evening. There wasn’t a single song played that I didn’t like. Hair/Make-up – Celebrity Spa & Salon. Everyone at Celebrity Spa & Salon did such a great job taking care of myself and all of my bridesmaids. Our hair and make-up turned out fantastic and the entire morning at the salon was so relaxing. Florist – Petal Patch. Our flowers were AMAZING. Every arrangement was perfect and the whole crew was so engaged in every last detail, making sure that our flowers were exactly how we wanted. Venue – The Inn at Quarry Ridge. I’ve already talked a bit about how much we loved our venue. Larry and Sue were the sweetest and were so involved in the planning and details leading up to our big day. I would definitely recommend the Inn to everyone! LOOKING FOR MORE IMAGES FROM THEIR WEDDING DAY? Enjoy the video highlight from their day below! Tara + Matt from John Fletcher on Vimeo. They were so generous and accommodated our every need. The place was immaculate from the lawn to the house to the bridal room! It was way over our expectations! Having their own tables and chairs was a huge plus! We said our vows by the gorgeous fountain in the pond and danced our first dance on the back porch. It was everything we had dreamed of! They all were so proactive! Anything that we needed throughout the evening was done before we even knew it needed to be! From a candle that need to be relit, to extra ice, to mending my dress! If I were to do it all over again I wouldn’t change a thing! It means the world to my husband and I that we had such an amazing stress free wedding day.